Hillsborough County commissioners are expected to get an update Wednesday on the status of a possible new Tampa Bay Rays Stadium in Ybor City. 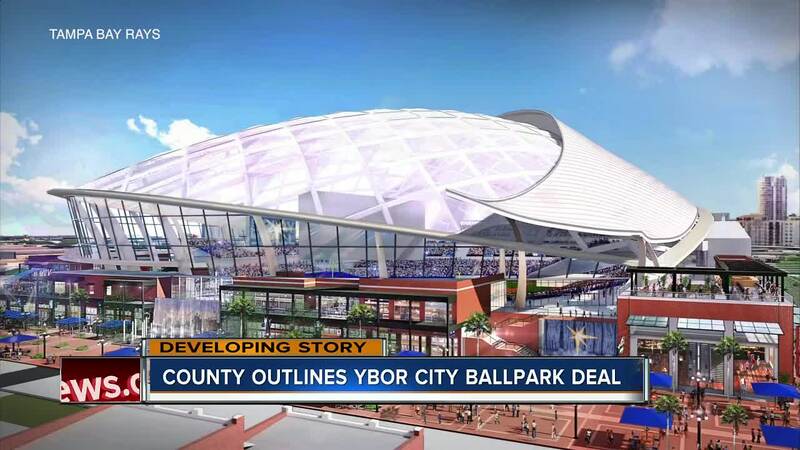 YBOR CITY, Fla. — Hillsborough County commissioners are expected to get an update Wednesday on the status of a possible new Tampa Bay Rays Stadium in Ybor City. Since January 2018, Commissioners have received periodic one-on-one briefings from the County Administrator and County Attorney concerning the progress of discussions with the Tampa Bay Rays about a proposed baseball stadium, according to county agenda documents . Some of these briefings were scheduled for this sole purpose, other updates took place during routine briefings of Commissioners by the County Administrator and County Attorney in preparation for regular BOCC meetings, county leaders said. Since the onset of meetings between the County, City of Tampa and Tampa Bay Rays there have been no negotiations, according to county leaders. From the beginning of these efforts, the intent has been to identify a stadium financing option that avoids the use of any new public funds and this has been a significant challenge, according to county agenda documents. County leaders talked about other recent transactions that have involved significant public funding including the Marlins stadium (approximately 70 percent) and the Texas Rangers stadium (approximately 50 percent). Nevertheless, very recent changes in federal tax law that incentivize private investment in eligible redevelopment areas, such as Ybor City, have provided a favorable ingredient to finding a solution for a Rays Stadium, county agenda documents read. While the above-described staff work and discussions with the Rays have been ongoing for some time, the rules and guidelines for so-called “Opportunity Zone” private investments were only finalized last month – October 2018, county agenda documents read. “So, while we have been very mindful of the December 31, 2018 deadline imposed on the Rays by the City of St. Petersburg, we have not been “dragging our feet” in our efforts to identify a responsible and feasible framework that could be proposed as a basis for future negotiations,” county agenda items read. They also say there have been no negotiations to date of any possible stadium deal framework and that The Rays have yet to consider and accept a deal framework as a basis to begin negotiations. County leaders say Wednesday’s meeting is a briefing update to the Commission, not a recommendation or request for action. The following describes the key elements, but not all of the complicated transaction details, of a feasible framework for the siting and funding of a stadium, according to the county’s tentative framework. 1. The stadium site preferred by the Rays is situated in a census tract within Ybor City that qualifies for private Opportunity Zone funding. 2. 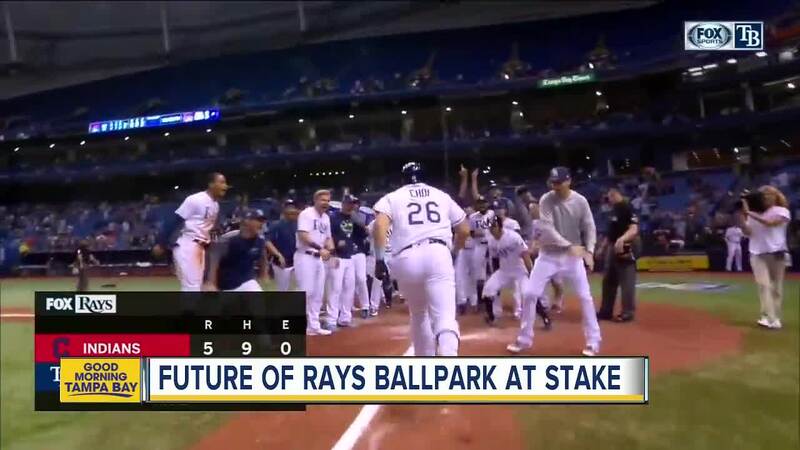 The Rays would bear 50% of the cost for the acquisition of land and construction of a stadium. c. Community Redevelopment Agency (CRA) property tax increment revenue generated by new development in the two existing Ybor CRAs established in 1988 and 2004 by the City of Tampa. [NOTE: CRA tax increment revenue is required to be spent only within the boundaries of the CRAs and would not be available for use by the County to fund other government services]. 4. Construction cost overruns would be borne by the Rays. 5. Depending on results of future negotiations with private investors, a future guarantee provided jointly by the Rays, City of Tampa and County (estimated to be less than $50 million in total) may be necessary. Such guarantee, if called upon, would be reimbursable to the Rays, City and County. 6. The Rays would be required to make annual rent payments. 7. The Rays would be required to fully fund and maintain reserves for stadium repairs and maintenance, as well as for future capital improvements to the Stadium. 8. As is the case with Raymond James Stadium, Amalie Arena, and Steinbrenner Field, it is expected that the Rays stadium would also be immune from property taxes (except for the private portions of the Stadium controlled by the Rays). This immunity can only be accomplished by a vote of the County Commission. The foregoing summary of a stadium financing framework (some aspects of which had been discussed with Commissioners in previous one-on-one briefings) is not intended to be comprehensive or final. However, this framework forms a basis for possible future negotiations of a Term Sheet that would be presented to The County Commission, City of Tampa and Tampa Sports Authority no later than April 30, 2019, according to county agenda documents.